Estes Park Aerial Tramway gives breathtaking views of the Continental Divide, Longs Peak and Estes Park on its climb of 1,100 vertical feet, with more amazing views at the top. 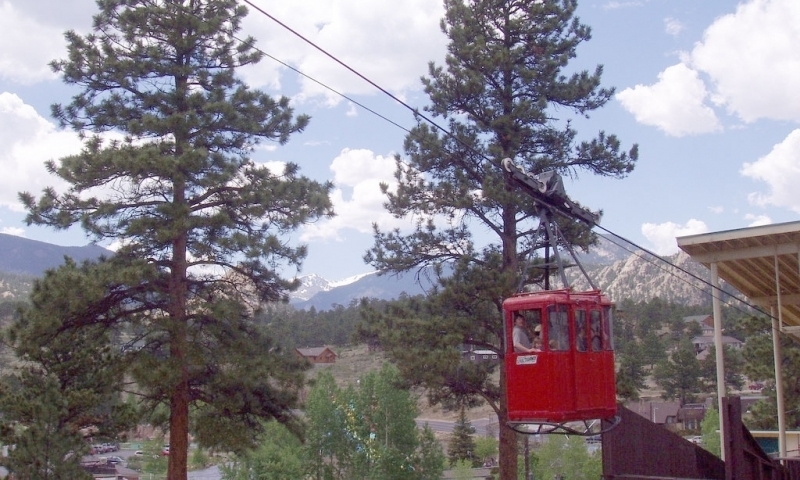 The Aerial Tramway to Prospect Mountain has operated in Estes Park for over 50 years. Ride to the top and enjoy a new perspective of Estes Park. The Estes Park Tram starts out at the bottom of Prospect Mountain and travels up and up to 8,700 feet. It only takes the ten-passenger tramcar five minutes to get to the top, but once there, you have hiking trails to explore, more views to enjoy and lots of chipmunks to feed. Take Highway 36 east out of Rocky Mountain National Park, turn right onto Riverside Drive and bear left following Riverside Drive as it parallels Highway 36 to East Riverside Drive. Its lower terminal is a block south of the post office. The Estes Park Tramway is located at 420 East Riverside Drive, Estes Park, Colorado 80517. 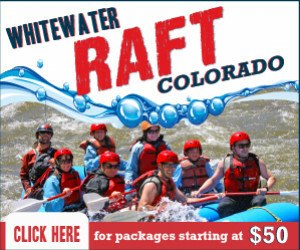 Their phone number is 970-586-3675. The tram is open from May 27th to September 4th, 2017. Hours are from 9 am to 6 pm daily. When at the top of Prospect Mountain, you should allow yourself some time to enjoy all you’ll discover there. Visit the gift shop for a souvenir, grab a snack at the snack bar, and get some peanuts to feed the friendly chipmunks. They will eat right out of your hand. You can buy peanuts at the top. The observation deck is a great place to relax, take some photos and marvel at the panoramic views. The Georgetown Loop Railroad is a great experience for family fun.